Product #15860 | SKU S-DJ50X | 0.0 (no ratings yet) Thanks for your rating! 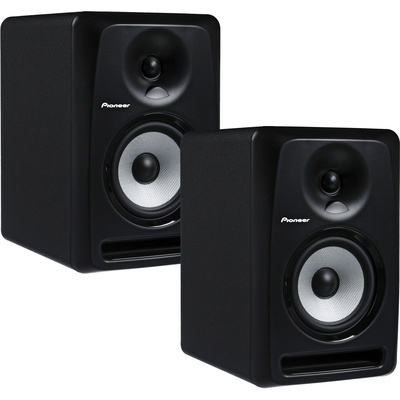 The black S-DJ50X 5" Active Reference DJ Speakers from Pioneer are optimised for use for DJ practice. They are composed of medium density fibreboard that houses a 5-inch woofer and 1-inch soft-dome tweeter. The speakers are capable of 80-watts of peak output and have a balanced XLR, balanced TRS, and unbalanced RCA input, allowing for connection to a variety of audio sources. The EQ controls are designed to allow you to adjust the output based on your preference. An auto standby mode assures power conservation by powering the speakers off when no input signal has been detected for 25 minutes.